High Desert Specialties is a simple yet professional website that utilizes stacked modules as opposed to separate pages to display content. 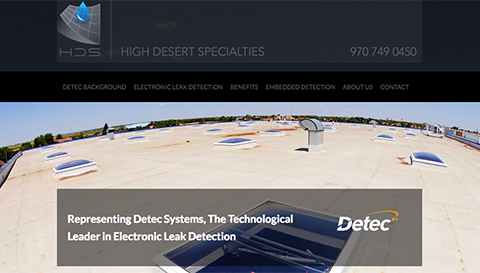 The website has a basic contact form for current and potential customers to get in touch with High Desert Specialties, and uses parallax scrolling and full width high resolution background images to create a modern design that helps create engagement with website visitors. This is a great option for web design customers who want an affordable, professional website to display basic information about their products and/or services without compromising any functionality or professionalism.